2019/02/13 Thank you for staying! 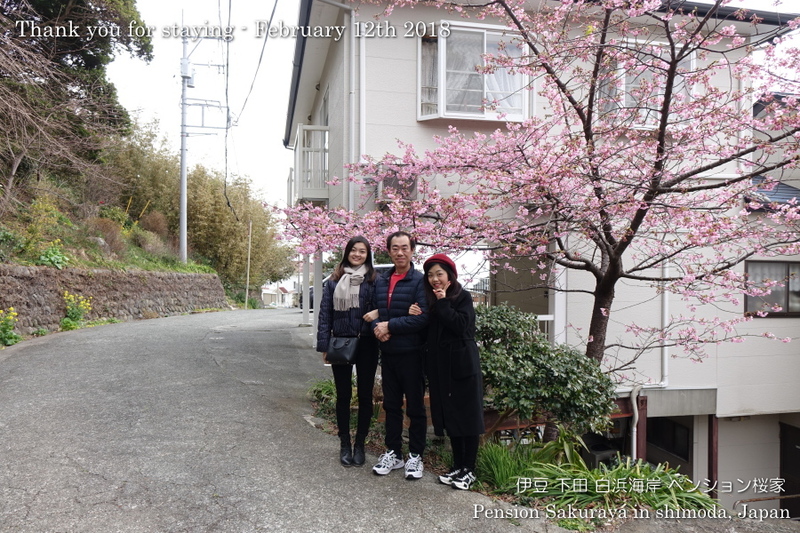 They came to Japan from China for the 1st time, and came to Izu peninsula to see Sakura blossoms. During their stay it had been almost sunny and they went to the nearest beach and Shirahama shrine. After check out they went to Kawazu town to see cherry blossoms and Izukogen to stay. They are going to Kyoto, Nara and some other places after Izu peninsula. This entry was posted in Customers, Pension Sakuraya on 2019年2月13日 by izusakuraya.